Reuters, citing Visa, reported Visa International Service Association is paying $250.6 million to acquire Earthport. The stock deal, in which the Visa unit offered 30 pence for each Earthport share, gives the U.K. payments company a value that is four times the stock’s closing price Monday (December 26). Earthport, according to Reuters, said the offer from Visa was “fair and reasonable” and that it will recommend shareholders vote in favor of the deal. Earthport claims its services provide banks and money transfer firms a lower cost method for international transactions, with the banks and money transfer firms having to deal with one company instead of several within the payments channel. The company’s stock has been under pressure this year with Reuters reporting shares have dipped more than 28 percent due to losses and expenses that are growing. The company said in November, according to Reuters, that there was a need to make a “fundamental” change to its strategy. Earthport was established in 1997 to streamline the movement of money across borders using a single API to clear and settle funds locally with its banking partners. Its global payments network includes banks in more than 87 countries, with clients including Bank of America, Hyperwallet, Japan Post Bank, Transferwise, and Payoneer. 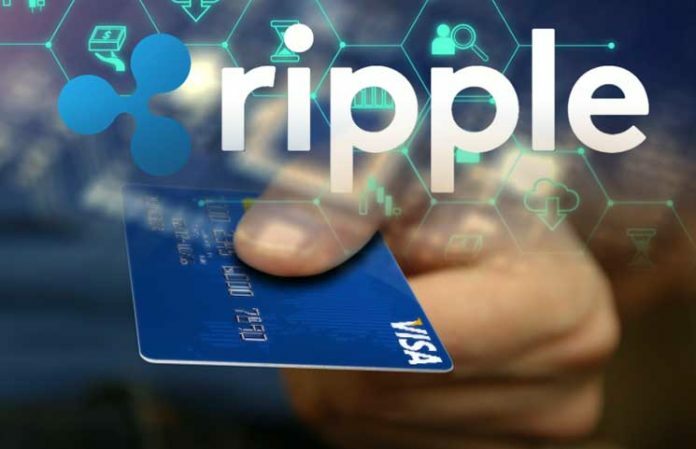 Earthport also partnered with Ripple in 2015 to offer real-time payments capabilities for its banking partners using distributed ledger technology. In October Earthport announced that BNP Paribas came on board as a customer, with the payments company providing Automated Clearing House (ACH) cross-border payment services for BNP. At the time Earthport said BNP Paribas Fortis, a subsidiary of BNP Paribas and Belgium’s largest bank, with annual revenues of €43 billion, will be the first to deploy the services. Visa had made an offer for Earthport in November, and the deal Thursday (December 27) was the result of Visa revising its bid after an indicative offer from an unnamed U.S. company in November, Earthport said. Reuters noted that the deal is attractive to Visa because cross-border payments is an area of growth for the payments company. In October Visa said the volume on cross-border payments increased 10 percent in the fiscal year 2018.